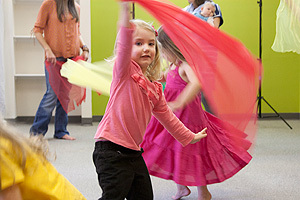 Offering the Musikgarten Curriculum: "Come for the fun; stay for the education"
Welcome to Whistling Hawk Studio! Thank you for visiting. I'm Nancy McMillan, the owner of Whistling Hawk Studio. My goal is to support joyful lifelong music making for people of all ages. The benefits of participating in active music making are well documented. 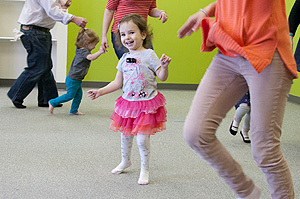 If you're a parent who wants your child to fall in love with music, I share that dream. After twenty-five years of teaching piano, I'm convinced the Musikgarten program is the best path to ensuring that dream comes true. And research shows the window of opportunity is open between the ages of birth and nine. 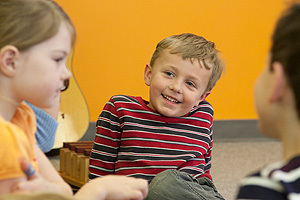 Would you like your child to be involved in a joyful music program that provides the pathway to comprehensive music literacy? Would you like to foster family music making at home? Questions? Please email me at nlmcm@yahoo.com or pick up the phone and call me (203-266-5229). I love speaking to parents. © 2019 MUSIKGARTEN:: Whistling Hawk Studio All Rights Reserved.